The goal of the Auburn’s Student Government Association is to represent “the Auburn student body to the University administration and the community.” SGA carries out this goal through the work of numerous programs, initiatives and positions, and this year, under the leadership of the new SGA President Dane Block, several changes are coming to SGA. One new project is Fall Feast, and this will be a massive Thanksgiving dinner that will be held on campus during the fall break. Bailey said many international students don’t have places to go over the break. Bailey said another way SGA will be supporting student success will be through the personal finance course FINC 2400. This class has been a part of the curriculum for many students in the Harbert College of Business, but now, the class is available for all Auburn students. “It’s just a great way for students to have a financial foundation going into their years after college and beyond,” Bailey said. There is currently one section of FINC 2400 available to students, and the 150 seats in the class are all taken. Bailey said another contribution that SGA has helped with is the new dining options that will be available to students this fall. New dining options, including Steak ‘n Shake, will be coming to campus with the new dining service Aramark. One reason for this change is the work of the SGA Dining Task Force. 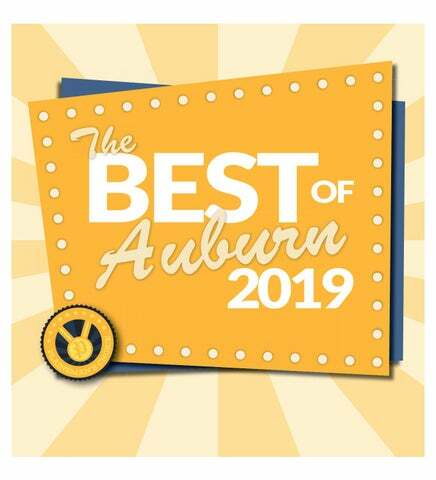 The task force first spent several months collecting feedback from students on how they felt about Auburn’s dining, and they then presented their results to campus dining. Glenn Loughridge, director of campus dining, said the new additions were inspired directly by the SGA Dining Task Force. “I think the first [town hall] is going to be on dining, which we’re really excited about with all of the new changes,” Bailey said. Bailey said one of her personal goals will be to promote Auburn Answers because it’s a great way for SGA to receive student feedback and for students to bring about change. 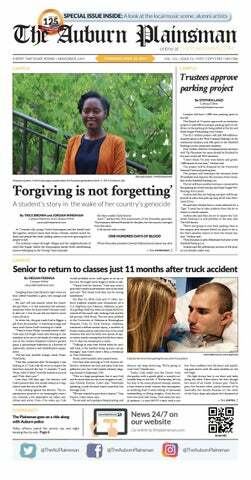 “It’s basically a way for students to give feedback on anything on campus,” Bailey said. "They can ask questions about anything that’s going on, and they’ll get a response from the person who oversees that initiative whether it’s the director of parking or dining." Auburn Answers will also be moving onto the concourse. Bailey said SGA officials will be on the concourse gathering feedback from students at least once a week. “If a student doesn’t know necessarily what website they can go to, or they don’t know that it’s there, then we will be able to help them right there,” Bailey said. Bailey said student safety is another one of SGA’s focuses this year. “We’re looking into research for nighttime riding services and things of that nature because I know that that’s been a concern for students in the past,” Bailey said. Bailey said if anyone is interested in getting involved with SGA, there will be several SGA programs accepting applications this fall including Lobby Board, Freshman Forum and Aubie Committee. Bailey said Hey Day volunteers are also needed.